Affecting up to as many as 200,000 Canadians each year, Deep Vein Thrombosis (commonly referred to as DVT) is a condition that occurs when blood clots form in the veins located in your body – typically affecting the thigh or lower leg. However, it is not unlikely for them to also develop in other areas of the body. 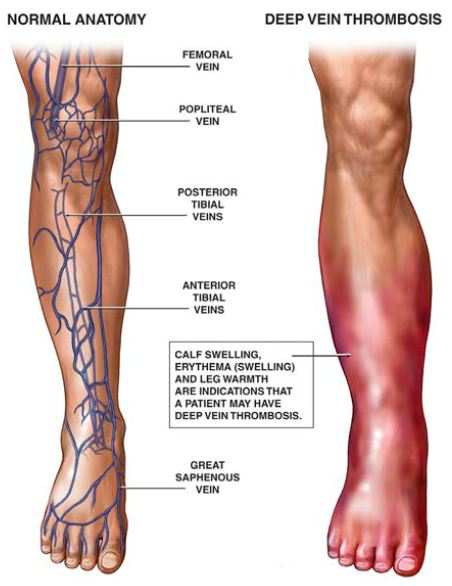 DVT usually occurs most commonly in Canadian adults aged 50 or older, and can be the result of many risk factors and health conditions that change how blood moves throughout your veins, such as injury to the veins, obesity, smoking, birth control pills, hormonal therapy, smoking, and staying seated for long periods of time. Certain forms of cancer, inflammatory bowel disease and heart failure have also been found to be linked to Deep Vein Thrombosis, and it can also occur as a result of pregnancy due to an increase in hormone levels and slower blood flow as the uterus expands. The increased risk of developing DVT can last as many as 6 weeks after giving birth. Certain surgical procedures can also lead to the development of DVT, so it is important to talk to your physician about the risks and benefits of surgery. Dr. Ali Ghahary, a physician in Vancouver, treats patients with DVT based on the symptoms they present with. 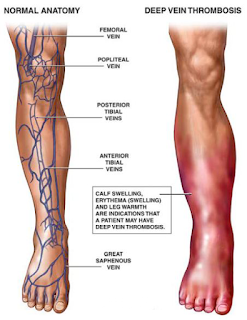 However, not all individuals with Deep Vein Thrombosis are even aware that they have this condition, as symptoms usually only occur in approximately half of individuals with DVT. The most common symptoms of DVT include swelling in extremities such as the ankles, legs, or feet, cramping or severe and unexplained pain, skin that feels warm to the touch or an area of skin turning blue or reddish in colour. One complication of DVT is known as a Pulmonary Embolism, a life-threatening condition that results in arteries in the lungs being blocked. Signs and symptoms of a Pulmonary Embolism include dizziness, sweating, chest pain, fast breathing, rapid heart rate and coughing up blood. If you experience any of these symptoms it is recommended that you seek medical attention immediately. As mentioned, Deep Vein Thrombosis is usually diagnosed in combination with the symptoms patients present with. Dr. Ali Ghahary and other Vancouver physicians may order tests such as an ultrasound study, venogram, MRI, and a blood test known as a d-dimer. If you are diagnosed with DVT, medications such as Heparin or Warfarin may be prescribed. These medications help to thin the blood, thus making it difficult for the blood to clot and decrease the risk of developing blood clots in the future. If blood thinners are not successful, you may be given medication known as a Thrombolytic drug via intravenous. Thrombolytic therapy works to break up blood clots. To prevent DVT, it is important to make certain lifestyle changes. These changes include smoking cessation, weight loss, and physical activity. Dr. Ali Ghahary is an experienced physician in Greater Vancouver, practicing at Burnaby’s Brentwood Medical Clinic – a combined family practice and walk-in clinic – where he sees patients ranging in age from elderly to infants. Children have accounted for over 80% of doctor visits in North America in the last year alone, with 5 out of 6 children in Canada having had at least one ear infection before they turn 3 years old, and it is one of the leading reasons for a parent to take their child to see a physician. As most ear infections in children occur before they are able to fully speak, it is important to watch out for the signs and symptoms that may indicate that your child has developed an ear infection. These signs and symptoms include pain, constant tugging at the ears, unusual fussiness, difficulty sleeping, difficulty with balance, trouble hearing, and a fever. Children are more prone to developing ear infections than adults due to their immune systems not being fully developed, thus making them unable to fight infections as well as adults. Eustachian tubes in children are also smaller than those in adults, which makes the drainage of ear fluid also difficult. Ear infections usually develop in children as a secondary infection and are commonly the result of a child having had a cold or other upper respiratory infection. There are three types of ear infections, all with varying symptoms. The most common form of ear infection is Acute Otitis Media (AOM). AOM affects the middle ear, and usually results in it being swollen, causing fluid to get trapped behind the eardrum. A child with AOM will notice pain and may develop a fever. The second most common form of ear infection is Otitis Media with Effusion (OME). OME typically happens once an ear infection has been treated and is no longer present, but results in fluid remaining trapped behind the ear drum. There are usually no symptoms present with OME. Lastly, Chronic Otitis Media with Effusion (COME). This is a result of fluid remaining in and failing to drain from the middle ear, even when there is no infection present. However, Chronic Otitis Media can make it difficult to treat new ear infections that may develop, and can also have a significant impact a child’s hearing. 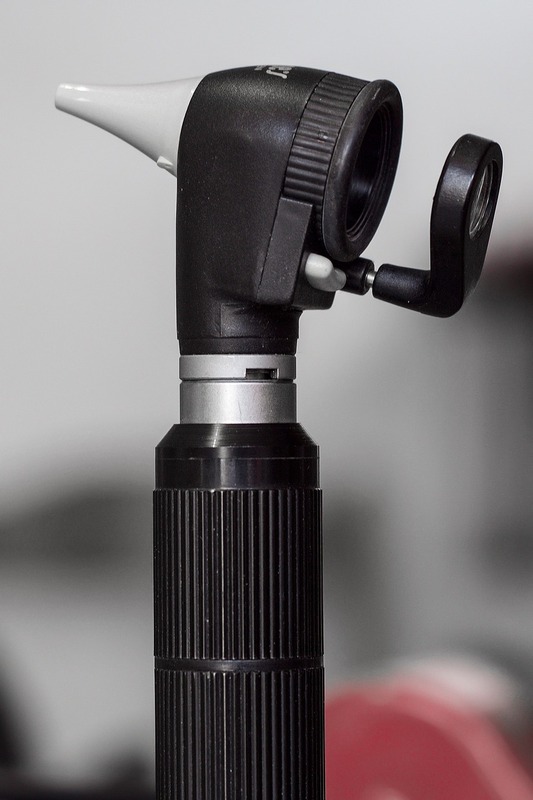 In order to diagnose whether or not your child may have an ear infection, Vancouver physicians like Dr. Ali Ghahary will ask a child’s parent or guardian a series of questions about their general health, and will also look in the child’s ear using a lighted instrument scientifically known as an Otoscope. 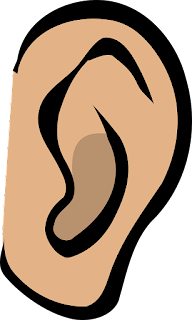 Upon inspection, if the eardrum looks swollen or red, that is usually indicative that an infection is present. To treat the infection, Vancouver physicians will prescribe a course of antibiotics for 7 to 10 days – usually Amoxicillin – as well as recommend over-the-counter pain relievers such as Ibuprofen or Acetaminophen to help reduce pain, inflammation and ever. In cases where the physician is unable to make a definitive diagnosis of an infection, they may require that you wait a couple of days to see if the child’s symptoms improve. If the child is not better within 48 to 72 hours, then antibiotic therapy will be started. Once antibiotic therapy has begun, your child should begin to feel better within a few days time. If your child is still feeling unwell after approximately 3 days of being antibiotics, it is important to let your physician know as they may need to prescribe a different antibiotic. In order to prevent ear infections it is important to practice good hygiene including frequent hand washing. It is also a good idea to get your child vaccinated against the flu, and to ensure that they are not around other sick children. For more information on the flu vaccine and ways to prevent bacterial infections, click here. Dr. Ali Ghahary can also be found on Twitter, Facebook and Instagram. Part of Dr. Ali Ghahary’s commitment as a physician in Vancouver is to ensure patients and their families receive exceptional healthcare from medical facilities in this Province, including BC Children’s Hospital – the only full-service, pediatric acute care hospital in British Columbia. 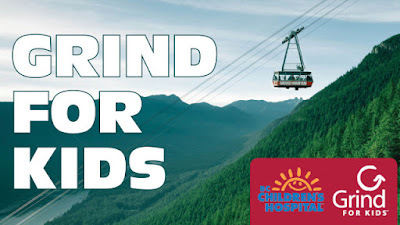 In doing so, Dr. Ali Ghahary participates in the ‘Grind for kids’, an annual fundraiser by the BC Children’s Hospital Foundation in effort to raise funds so that they can continue to provide children in British Columbia and the Yukon with exemplary care. BC Children’s Hospital’s roots date back to 1923, when a fund was established for crippled children by the BC Women’s Institute in Vancouver. They continued to make groundbreaking achievements for pediatric care over the years, and in 1982 construction was completed for a $60 million, 29,730 square-metre, 250 acute-care bed facility. Since then, BC Children’s Hospital has continued to make advanced breakthroughs over the years, and is now home to approximately 90,000 patients and their families each year – operating 55 different clinics in its Ambulatory Care building. As many as 9,000 children and adolescents hospitalized at BC Children’s Hospital required surgery last year alone, with more than 1,000 children being admitted to the hospital’s pediatric intensive care unit, and over 700 undergoing treatment for cancer. In 2006, BC Children’s Hospital launched the ‘Healthy Buddies’ initiative in schools across the Province, which focused on health promotion by providing education on body image, nutrition and physical activity. In 2006, BC Children’s Hospital launched an all-new mental health building as part of their Child Youth & Mental Health program, funded in part by the Government as well as donations. This Vancouver-based facility provides long-term psychiatric care and eating disorder programs, receiving over 25,000 outpatient visits from children and adolescents up to the age of 18. As healthcare continues to progress over the years, the top priority of the BC Children’s Hospital Foundation is to ensure that the are up-to-date with today’s technology and treatment availability, and with $150 million contributed by donors they are currently in the process of building a brand-new Children’s Hospital – the Teck Acute Care Centre – a modern diagnostic facility in Vancouver that will be better able to manage the needs of children with chronic conditions such as cystic fibrosis and cancer, as well as complex surgeries. The Teck Acute Care Centre will also be able to better accommodate families by providing them with private rooms rather than open-wards. For more information on BC Children’s Hospital and how you can donate, visit http://bcchf.ca. You can also find Dr. Ghahary on Instagram at http://instagram.com/alighahary and Twitter at http://twitter.com/dralighahary.